The top places to look for leaks in your home would be the top of a homeowners annual check list. According to the EPA, household leak up to one trillion gallons of water nationwide every year. Remember, small leaks don’t stay small, they can grow bigger quickly and have the potential to destroy your home. The following appliances are the most common for having leaking issues so checking on them regularly can prevent major home flooding occurrence from happening. 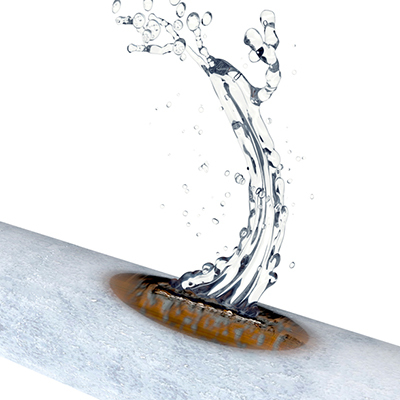 High mineral content of your water can put pressure on your pipes and increase risks of bursts. Moving water heaters to the garage can reduce the risk of damages in case of a leakage. The most common leakage is around the ice-maker. Check plastic tubing for pinholes or change to copper tubing. Use proper dishwasher soap, not regular dish soap. Make sure the dishwasher is leveled to prevent leakages. Make sure all pipes and hoses are secured and show no signs of leaking. Inspect hoses regularly and make sure there are no cracks or leaks at the fittings. Make sure drain lines, condensate pump and refrigerant are clear of dust and dirt. Leaking appliances, pipes or faucets often lead to extensive flooding, property damage or mold issues. For additional information or if you need help. Give us a call at 541.727.7340 and our professional team will be happy to assist.